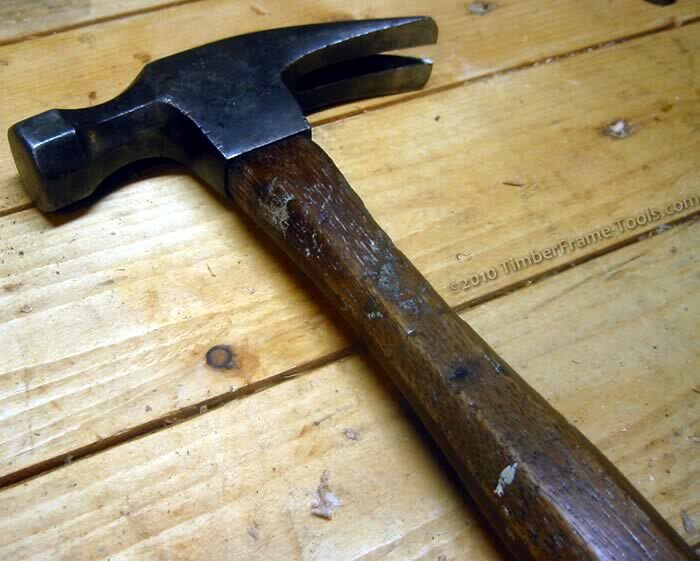 Timber Frame Tools » Hamilton Hammer? My Grandfather's photo along side his Belknap Bluegrass, passed on to me. 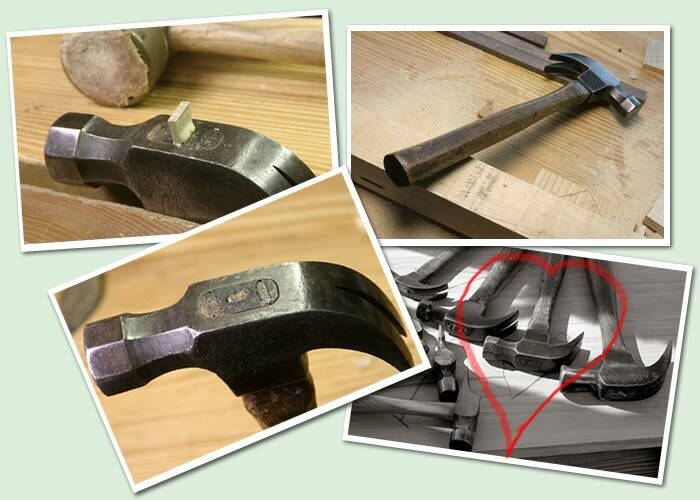 The other day I was reading an old post on the Woodworking Magazine blog about hammer handles. Imagine my surprise when in a photo of Chris’ favorite hammer I recognized my Grandfather’s. Granted my Grandfather’s was a rip hammer and Chris’ is a claw hammer, but other than that, the geometry and handle is identical. Chris has a bit of a THING for hammers so I consider him an expert. 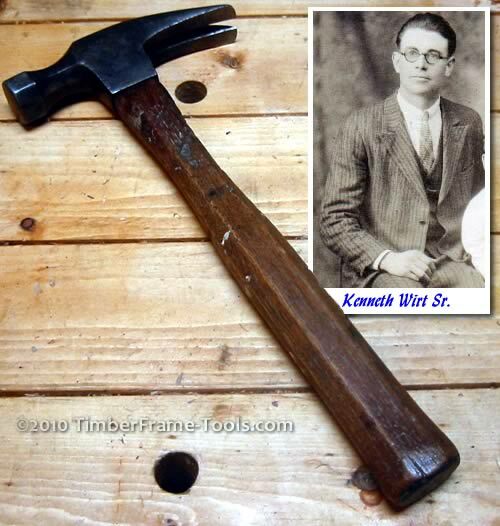 It makes me smile to think that when I am using my grandfather’s hammer, I am also using a hammer dubbed by the Schwarz as “This is, hands down, my favorite hammer handle.” This is the kind of endorsement a new tool maker would kill for. After perusing Chris’s blog a little further I realize this hammer that Chris refers to as a Hamilton hammer is quite a star (not sure why he calls it a Hamilton… perhaps they made it before Belknap?). It appears in at least three articles. I like my grandfather’s hammer. It has a handle that is octagonal in shape that makes it comfortable and accurate to use. It doesn’t look like it should be, but it really is. The facets are are just the right shape to fit your hand, and keep the hammer from twisting as you use it. The handle on the Belknap Bluegrass Hammer has octagonal facets. It is also shaped so that whether you are choking up on it for control, or farther out for power, the comfort and secure grip are there. Choke up or swing wide, the octagon is still there for you. 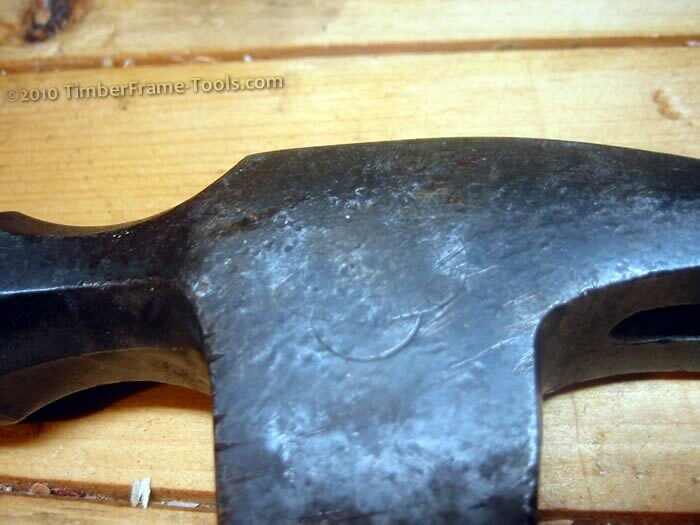 The tool imprint on the side of the hammer head has been obscured by years of use. All that can be seen on it are two ovals at right angles to each other. The word “Louisville” appears at the bottom of the horizontal oval. The word “Mark” appears on the right side of the horizontal oval and a faint “ap” remains at the top. 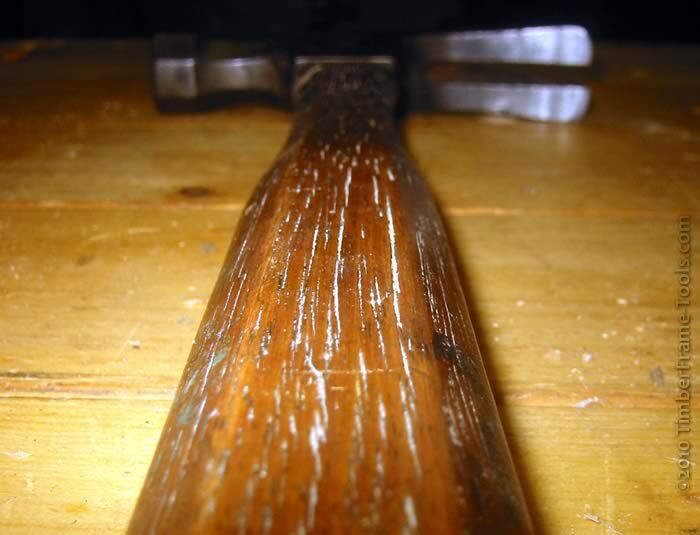 Here is all that is visible on the head of the Hamilton hammer. Here is the mark with a little bit of photoshop trickery to make it a little more visible. 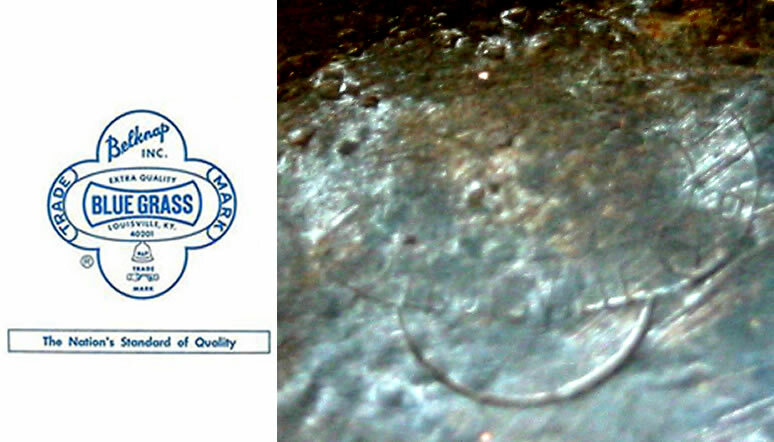 The close-up of the marking compared next to the Bluegrass logo is a match. Only after a bit of searching did I find this is the trademark of Belknap Hardware’s premium “Bluegrass” line of tools.Based on photos I’ve found of other Belknap Bluegrass hammers I estimate that this hammer was made sometime in 1930’s or early 40’s. So congratulations grandfather, your taste in hammers was impeccable. I use it and think of you often.